Often homeowners look at their utility bills and get a big surprise when it is higher than expected. 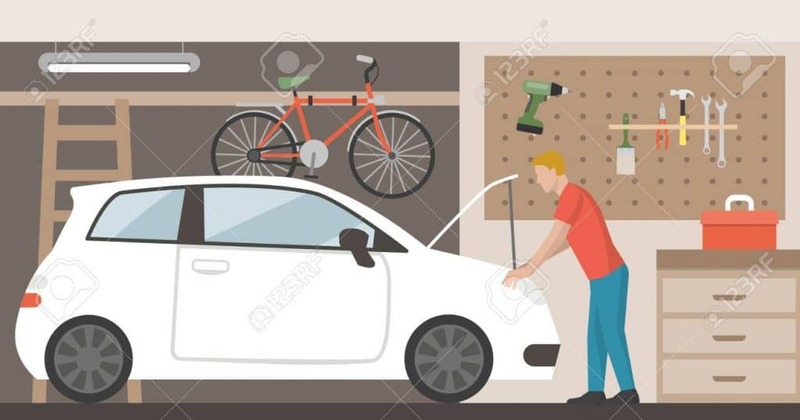 Your house might be well insulated in the walls and have high-efficiency windows, but one of the places where heat can enter or escape is via the garage. If you want to get your electricity bills back under control and stop your money from leaking out the garage, it may be time to get some insulation on those garage doors. In this article, we’ll help you learn what to avoid and what to look for when choosing the right garage door insulation kit. When it comes to garage insulation, there are three main types: pane insulation, reflective foil insulation, and polystyrene foam. While the material you eventually use is up to you, we recommend getting an insulation kit that contains instructions, tools, and everything you need to set up the insulation. Plus it will be for most garage doors so you won’t have issues with size. While not very visually appealing, reflective foil insulation is effective at keeping heat out in the summer. It is sold in rolls and the total thickness of the material is around an inch and a half. 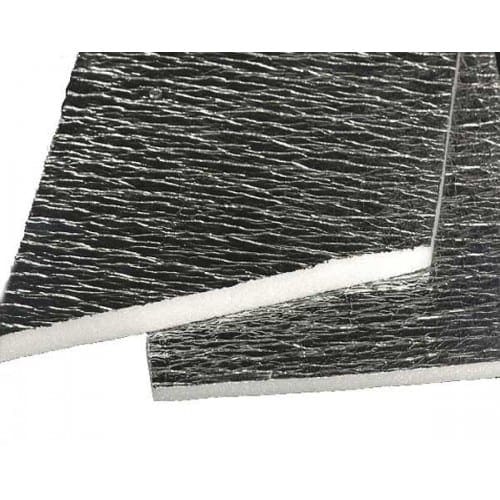 It is available in both single foil and double foil insulation, and the material consists of a layer (or two layers, in the case of double foil) of polyethylene foam between two films of aluminum foil. Polystyrene foam insulation is a better insulator than reflective foil but offers less flexibility than reflective foil. Instead, it is sold in large sheets which need to be cut to fit in the panels of your garage door. 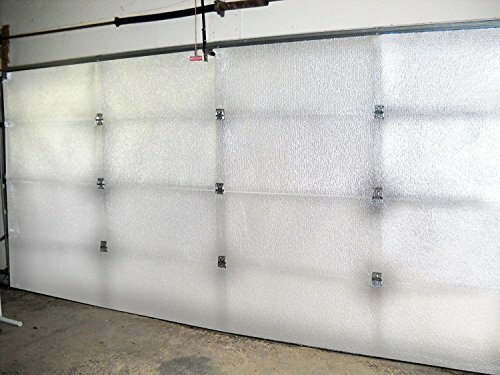 Panel kits include about 8 pre-cut fiberglass or plastic laminated polystyrene panels which fit inside the channels of your garage door frame. 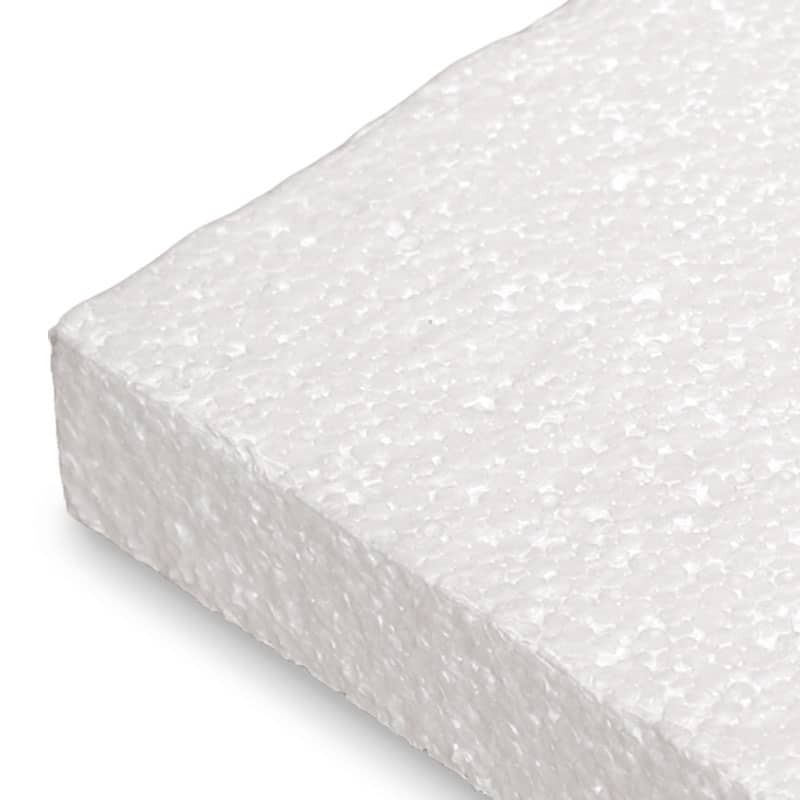 Polystyrene offers higher insulation than fiberglass panels, but are less water and mold resistant. Both options are easy to install and look good, so choose this option if good looks are important. Insulating your garage door is a good idea if you want to reduce your utility bills. Besides making your garage more livable and comfortable, it also reduces the noise inside from traffic or other external sources. Imagine being able to relax, work, and enjoy the privacy of your garage without any unwanted noises to disturb you. 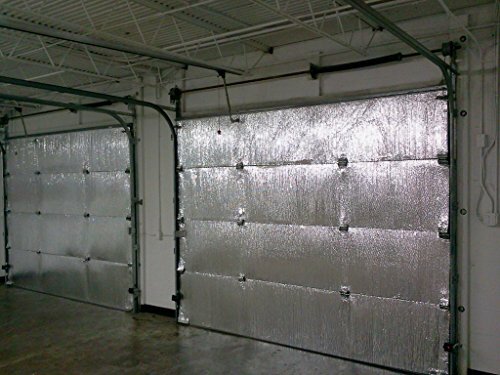 Often, people like to work on their cars or other projects in the garage, but in extreme heat or cold, it becomes uncomfortable to do so, and insulated garage doors can go a long way toward alleviating this problem. As mentioned earlier, in winter, heat will leak through any uninsulated areas of your house to the cooler outdoors, so insulating the garage door will help reduce this loss of heat. In case your garage door isn’t currently insulated, you can insulate it yourself. It is quite easy to install an insulation kit for your garage door and it won’t take long. When selecting your garage door insulation material, be mindful of a few things. 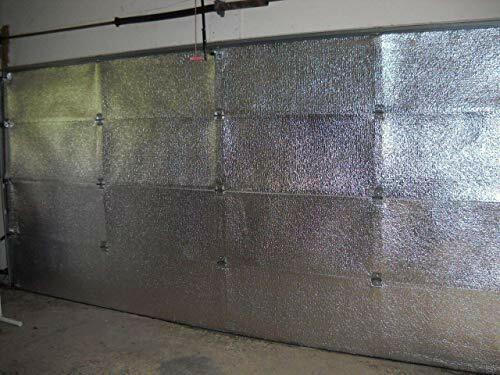 Do not use insulation that will greatly increase the weight of your garage doors, as the extra weight may affect the operation of your door. You may need to contact a garage door installation professional to check the operation of the door after you install the insulation. 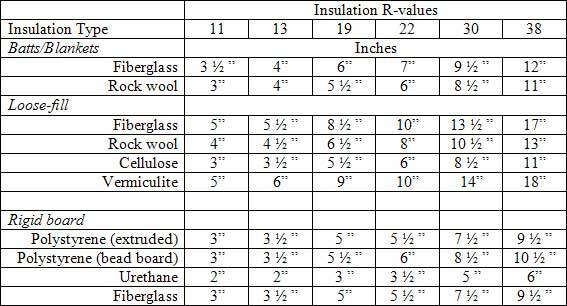 The R-value of a material is the rating that indicates its insulating effectiveness. 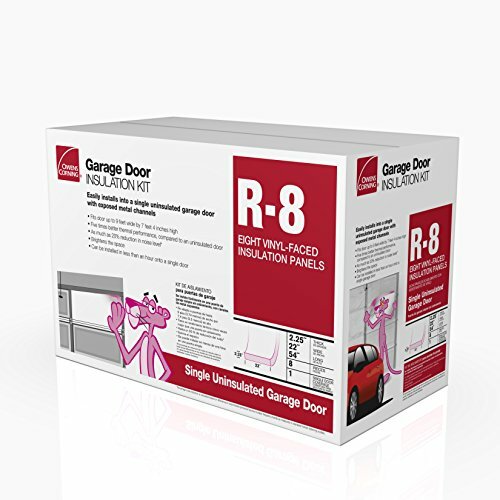 Try to obtain material of the greatest R-value that you can fit inside your garage door panels. Note: You should never use spray-in insulation or fiberglass insulation, as they aren’t suitable for use in garage doors. Also avoid placing insulation over the springs of your garage door, as doing so may prevent you from opening or closing the door. The Matador insulation kit consists of white styrofoam and will keep garages warm in winter, and cool in summer. It includes eight boards for a seven-foot-tall garage door and fits doors with a width of eight to nine feet. This kit will insulate up to four garage door panels. You can install it yourself without any special tools required. It has a bright white color, and the surface is easily washable. It also offers some sound protection. This is a decent option for garage doors that are eight to nine feet wide and for garages that need moderate insulation. The Corning insulation kit is designed for use on insulated metal garage doors and fits neatly into the exposed channel of the door. It provides five times better thermal performance compared to other insulated doors and offers a 20 percent reduction in noise. You can install this in less than one hour and all you need for installation is a tape measure, utility knife, straight edge, and a marker. 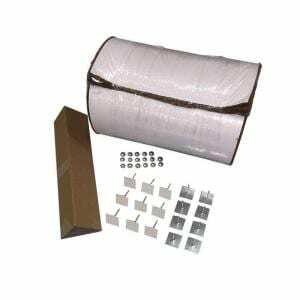 This is an effective, attractive looking insulation kit for your garage which will add some weight to the door, so check that your door’s motor can withstand the added weight. The NASA Tech reflective white insulation kit has a white vinyl finish on one side and a reflective finish on the other. It is designed for doors with four panels, but can also accommodate doors with five panels if requested by the buyer. Once properly installed, the kit can reduce annual energy costs by 20% or more, while radiant heat is reduced by 95% or more. This product is made in the U.S.A. and comes with easy to install instructions and tools such as heavy-duty double-sided tape, a squeegee, and a razor. This high-quality insulation kit comes in both four and five-panel options and can even be customized for your door. It will reduce your energy load by a significant margin and is made in the U.S.A., so you can buy without hesitation. This high R-value insulation kit will fit any two car garage door and reduce the temperature inside to a comfortable level. It will also reduce heat loss through the garage and keep it moderately warm during winter. It is easy to install and gives a very clean, finished look to your garage door. Get this insulation kit if you’re looking for a lightweight kit that won’t add much weight to your door and also will provide a clean, neat finish to the door. The insulation kit from MWS is meant to be lightweight enough to not affect your current garage door opener and remote and adds less than five pounds to the weight of the door. It is meant to be installed on two car garage doors, but single car door kits are also available. The kit includes ESP Low-E® Reflective Foam Core Insulation (120 sq ft), a razor knife, squeegee, and double adhesive tape. The kit will reflect radiant heat, increase the R-value of your garage door, and reduce drafts between panels. Instructions are included with images to make installation quick and easy. The product is waterproof and easy to clean if needed. This waterproof, easy to clean, and effective insulation kit will help you achieve lower heating bills and also make working in the garage a lot more comfortable. It is clear from the information shared in this article that garages can be a source of increased thermal load on your home, so it makes sense to block the heat transfer and also make the garage more comfortable by insulating your garage doors. To effectively reduce your utility bills, you might consider some of the excellent insulation kits out there, and a good place to get started is this list of top picks we’ve compiled for you.